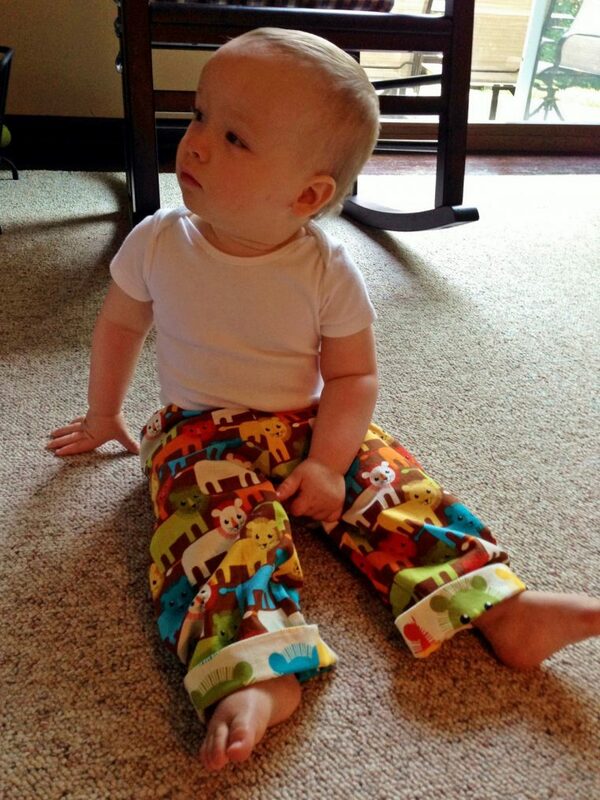 If I counted correctly, this is the 50th post for the “My Favorite Oliver + S Pattern” series! Can you believe it? We’re so appreciative to everyone who has contributed to this series so far. We’re delighted to have Teri back on the blog, she stopped by last year to share her favorite Liesl + Co. pattern which is the Everyday Skirt. Now she is visiting today to share her favorite Oliver + S pattern. Take it away Teri! Hi! 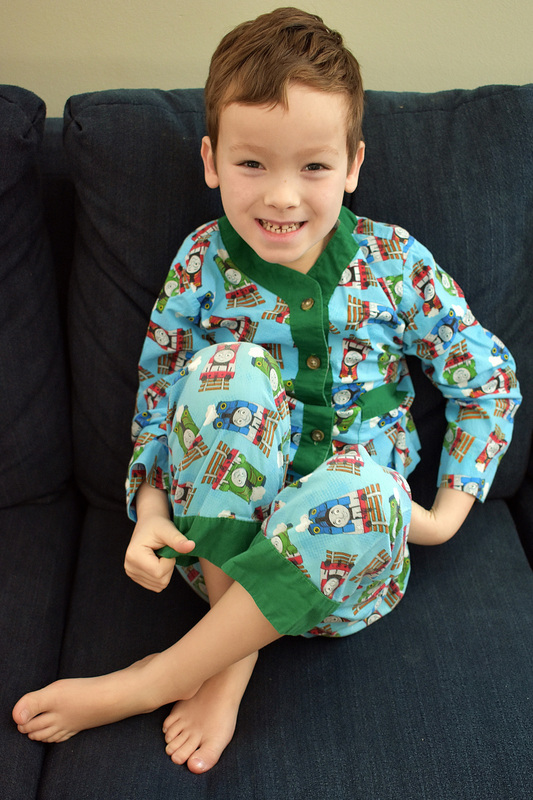 I’m Teri from the blog Fa Sew La and I am happy to be back again to talk about my favorite Oliver + S pattern, the Sleepover Pajamas. I have two boys, ages seven and five, and an almost three-year-old daughter. 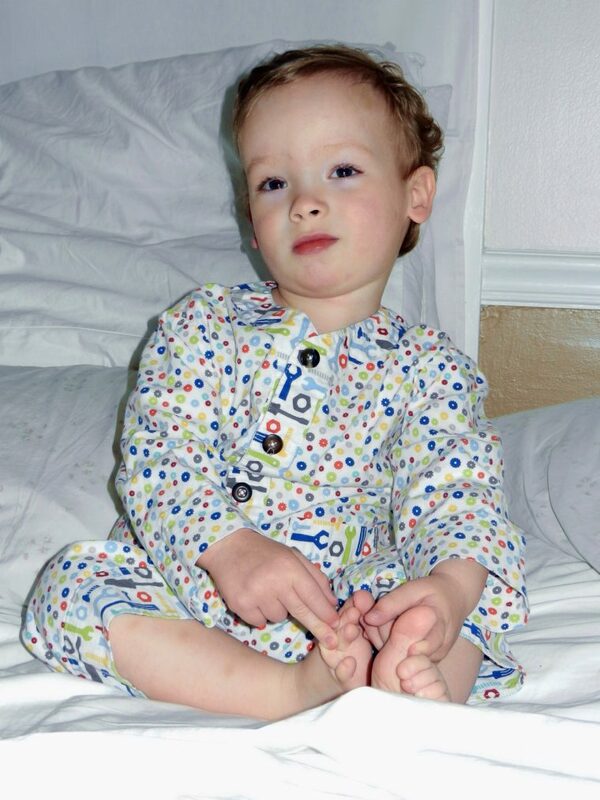 When my boys were little, the Sleepover Pajamas pattern was one of the first things that I sewed for them. When I first made this pattern my older son was almost three and my second son was not quite one. 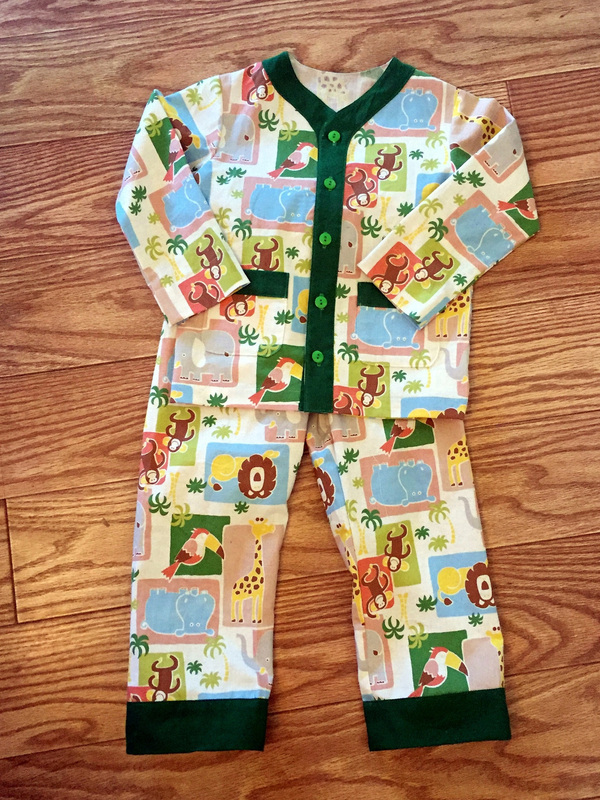 I made my son Luke a full set of pajamas from the cutest lion print fabric. My younger son, Andrew, just got a pair of Sleepover pajama pants, made from a coordinating lion print fabric that was from the same collection. I was so taken with this pattern from my first time sewing it. It has so many cute details! I love the patch pockets on the front of the top and the exposed neck facing, which is the perfect opportunity to use a contrasting fabric. The pants are finished with hem band pieces that can be worn cuffed up and then uncuffed to provide some extra length. My kids have always been tall for their ages to I’ve appreciated that the pants can grow along with them! This pattern is such a great way to showcase really cute prints. I’ve used quilting cottons each time I’ve made it, and they’ve gotten so much wear that they’ve softened up really nicely. 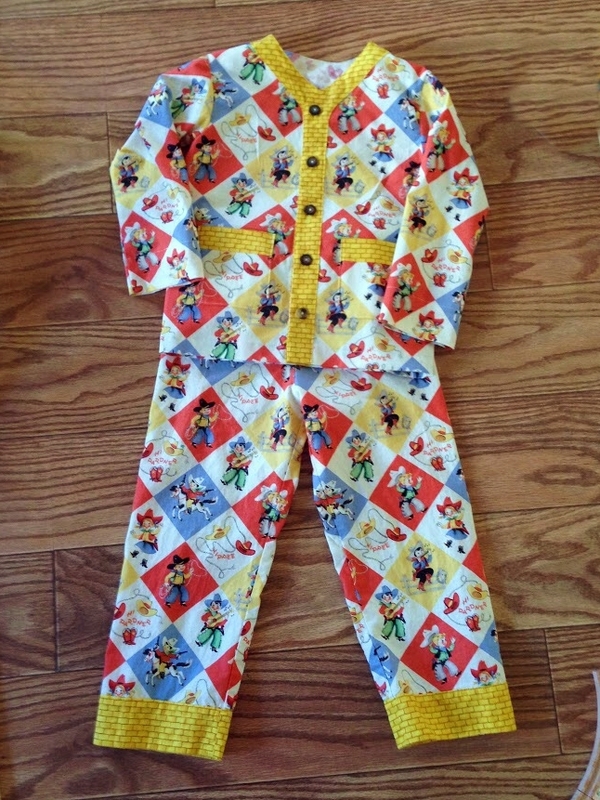 When the boys were little it was so fun to make them matching sets of pajamas. 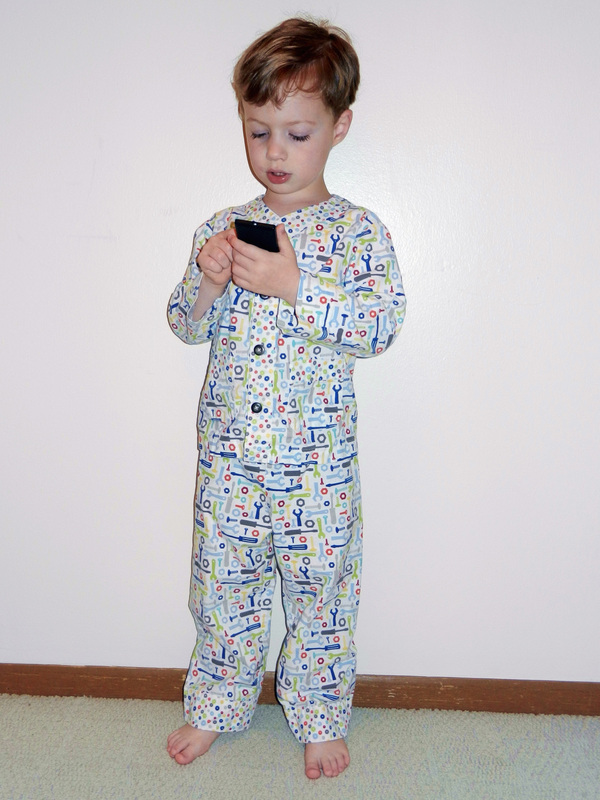 These tools and gears Sleepover Pajamas were a big hit, and they’ve been passed down to my daughter now. After I’d made a few sets for my boys, I made a set of pirate pajamas for my nephew. He loved them as much as my sons loved theirs and wore them until they were way too short and threadbare. 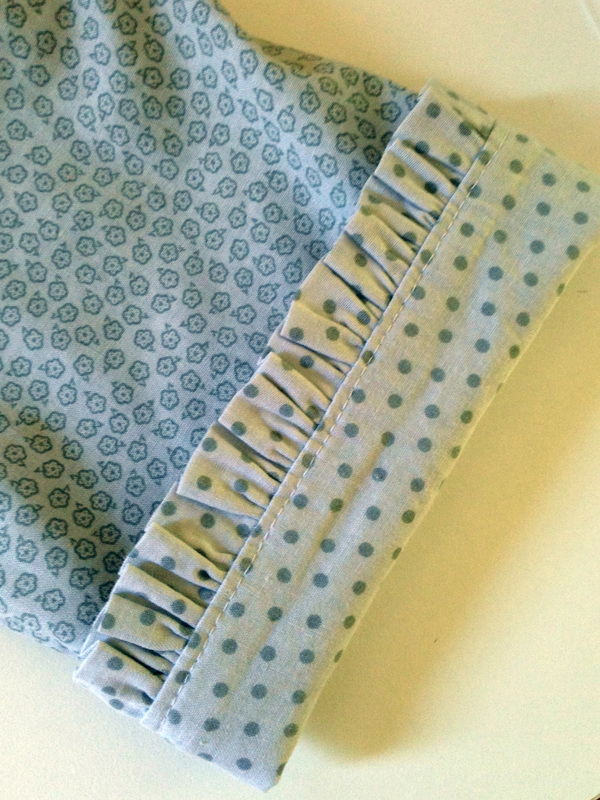 I also made my first pair of ruffle cuff pajama pants for my best friend’s baby daughter. It was after I made these that I realized maybe I should try pattern matching the front patch pockets. I had never tried pattern matching before and because of experimenting with it on the pajama tops it’s become something I love to do on my own garments! The Sleepover pajama top is a really great introduction to making a button front shirt. The sleeves are sewn in flat and require just a slight bit of easing to fit in the shoulder. The front facing creates a clean finish on the inside and outside of the garment. And there are just enough button holes to get practice at making them without being overwhelming for a beginner. 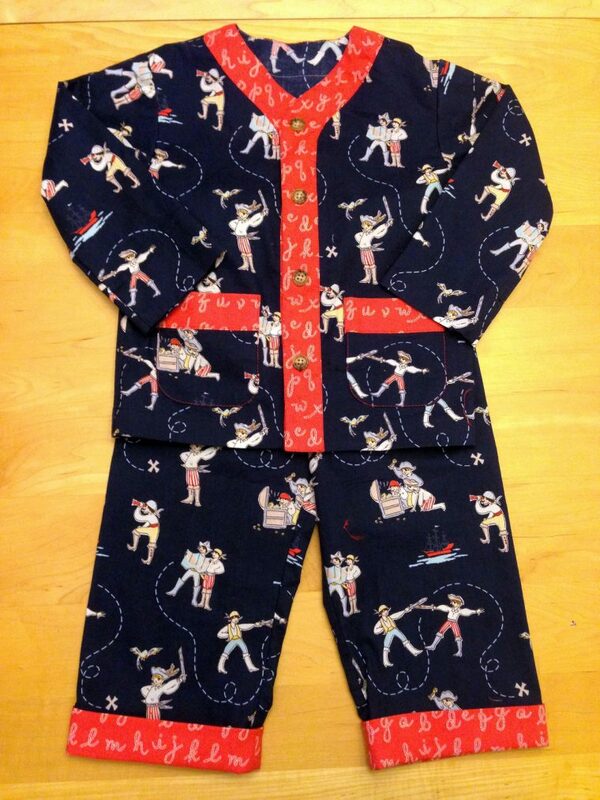 Along the way I’ve had to move on to the larger size range of the Sleepover pajamas so that I can continue to sew this pattern for my sons. I recently made my daughter her first set of Sleepover Pajamas, with the ruffled cuff on the pants. I plan to add the ruffle on the collar next time, too. 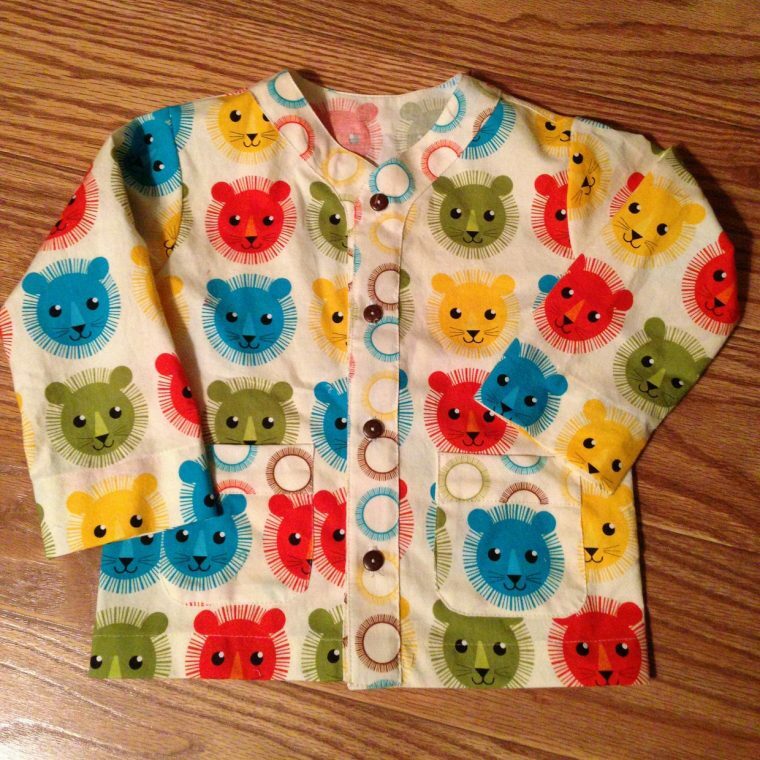 It is so fun to think about being able to sew this pattern for all three of my kids for years to come! Would you like to take a little stroll down sewing-memory-lane? 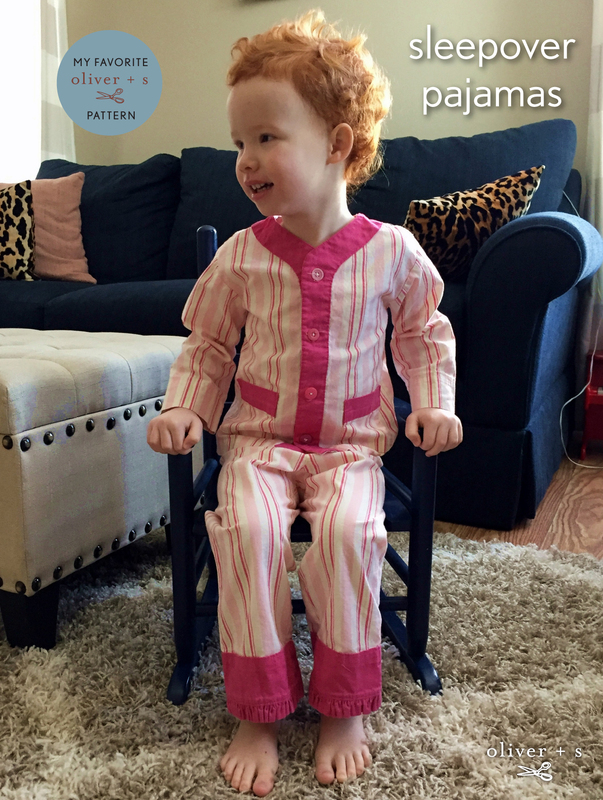 If so, head this way to see Liesl’s introduction to the Sleepover Pajamas pattern from August 2011! Beautiful! I love this pattern too (as do my kids). Your print matching is inspiring, and I’m going to try the ruffle cuff on my next pair! Thanks for sharing.